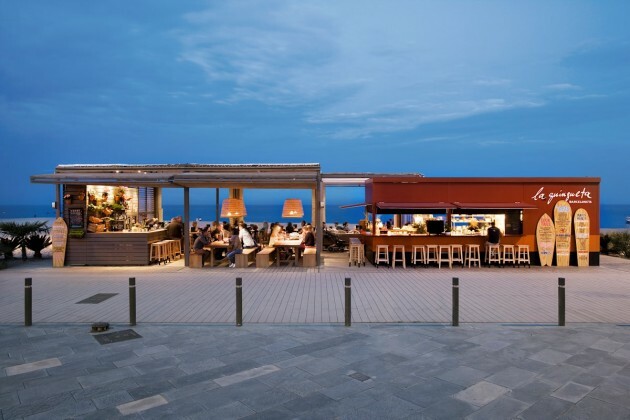 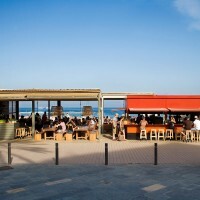 Sandra Tarruella Interioristas have recently completed La Guingueta, a beachside bar and restaurant located at San Sebastian in Barcelona, Spain. 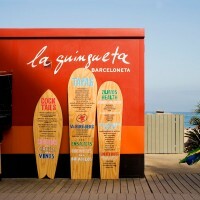 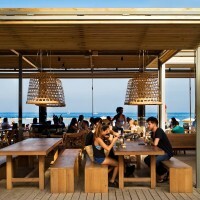 Sandra Tarruella Interioristas add freshness, warmth and a new role to the “tapas” concept of Carles Abellan chef in the new “chiringuito” La Guingueta, in the Barcelona’s beach (Barceloneta). 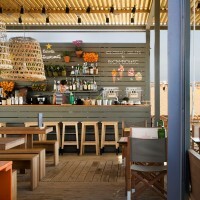 A new value for the fresh products in his coctails and sprouts. 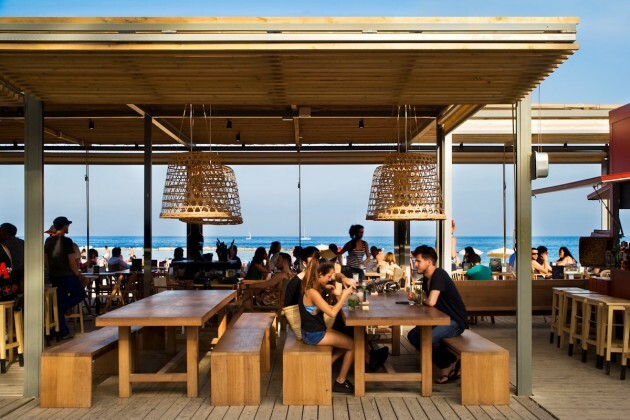 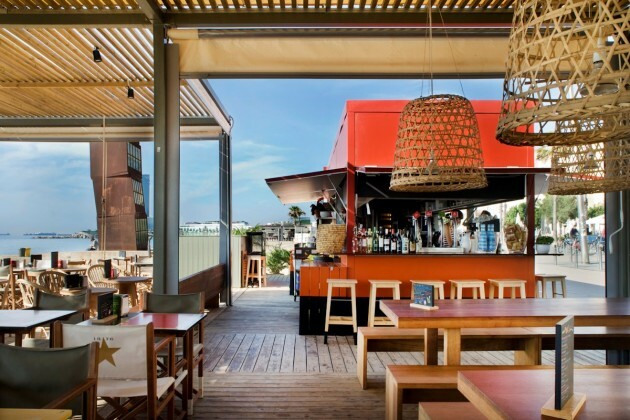 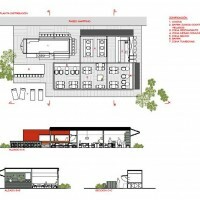 The main colors of this new bar&restaurant are: red, obligatory on all beach bars of Barcelona; orange black and military green, that conjoined with natural wood tables, wicker lamps and the light that passes through the wooden blinds. 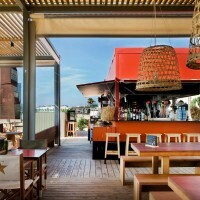 The result is a cozy, relaxed atmosphere with a masculine touch. 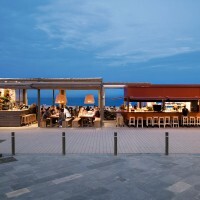 The interior design project adds communal tables, benches with cushions, lounge area and corner of cocktails and ice cream. 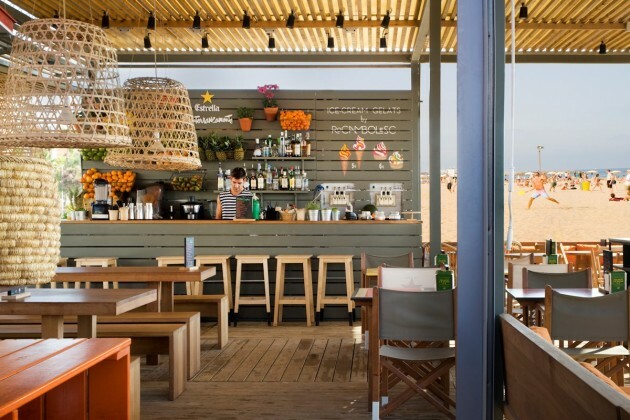 The fruit and sprouted give us the freshness and joy of natural colors and at the same time are a claim for the customer and a distinctive element of creativity of Carles Abellan.